Medical issues rarely arise gradually over time, but instead, often occur suddenly, and require immediate action to address. When a person’s health condition becomes severe, requiring around-the-clock care, many families are forced to put loved ones in nursing homes to provide the individual’s medical needs. Medicaid is the program most Americans living in nursing homes use to pay for the care and services offered by these facilities due to the high cost. Medicaid is a jointly-administered state and federal program funded by taxpayer dollars. States spend billions of dollars each year, though supplemented by federal contributions, to cover the medical expenses of the disabled and elderly. Because this expenditure is so large, federal and state law allow state agencies to pursue reimbursement for the amount paid. Such actions create true hardships for many surviving family members, as well as Medicaid recipients that are able to return home or receive a court judgment in a personal injury claim. The Florida Supreme Court recently issued a decision on the right of the state to recover its Medicaid contributions for individuals who receive injury settlements. A discussion of this case, and how the state’s Medicaid reimbursement claim works generally, will follow below. 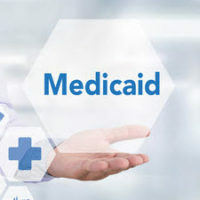 Federal law specifically allows states that pay Medicaid costs related to an injury caused by a third party, which is later compensated through a court judgment, to place a lien against the judgment in order to recover the financial outlay. States want to recover as much as possible, and routinely seek to collect a percentage of the judgment based on past and future medical expenses. Using this approach, the injured party, or their heirs if the victim does not survive, may see a large percentage of the damage award claimed by the state. This stance does not give the victims and their families a fair chance at receiving the compensation the lawsuit is supposed to provide, and the Florida Supreme Court recently issued a decision that agrees this heavy-handed approach is not permissible. The Court held that the agency that manages Medicaid in Florida, the Agency for Health Care Administration (AHCA), violated federal law when it attempted to place a lien against reasonably anticipated future medical expenses, and is limited to collecting only those past medical expenses actually paid. This decision allows injured parties and their families to retain a greater portion of any personal injury judgment they receive and receive the opportunity to experience the financial and emotional benefits compensation is intended to bring. Beyond this narrow exception for third parties liable for a Medicaid recipient’s legal expenses, states cannot impose liens against a Medicaid recipient’s property. However, the state can make a claim against a recipient’s estate after death for those over the age of 55. Essentially, the state becomes a creditor, and would seek to enforce a claim for all monies paid by the state for the recipient’s medical care. Given the high cost of nursing home care, this amount quickly becomes substantial, and to add to the family’s burden, Florida law authorizes the state to claim up to one-half of a personal injury settlement, if included in the recipient’s estate. The state is also authorized to force the sale of personal and real assets to recover its contribution. There are ways around this harsh outcome, with the appropriate estate planning, and an experienced attorney should be consulted about how to avoid losing assets to Medicaid reimbursement. Medicaid is one of the most complicated government programs offered to Americans, and without the guidance of experienced attorney, can quickly deplete an individual’s life savings and destroy the inheritance survivors would otherwise enjoy. William Rambaum understands the nuances of the law governing this program, and can assist you with qualifying, while also protecting your assets. Contact the Oldsmar office to schedule an appointment.